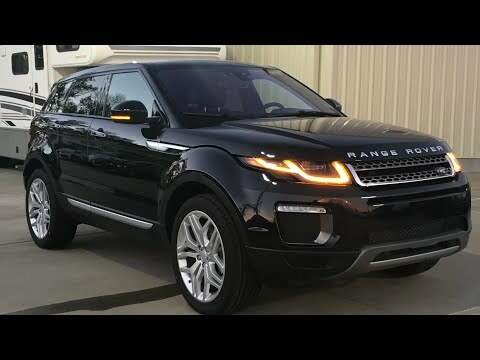 The 2016 Land Rover Range Rover Evoque is unlike any previous SUV. From the company that brought geometrically boxy and utterly utilitarian vehicles that could slog through a jungle or across a desert, we now have an SUV that's styled and tailored like a $10,000 Italian leather purse. Take the Evoque through the Amazon? Uh, no. To the Ritz? Absolutely. The vehicle has mirrors that light up when you exit the vehicle at night. I have had the car for 2 years and have not had any issues. It is very comfortable and I enjoy the heated seats. It has been extremely reliable. Features include anti-lock brakes, 4 cylinder turbo, heated seats. Passenger air bags, upgraded wheels. And touch screen navigation. Easy to drive. Handles well in all weather conditions. It's a perfect sized SUV for a city lifestyle. Easy to drive and handles snow and inclement weather conditions well. In addition, it is very easy park with the car's built-in sensor system.